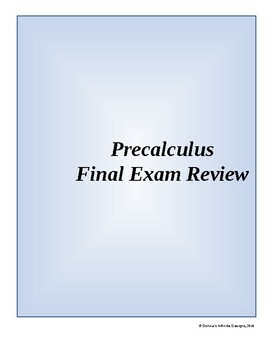 This document is a final exam review for all levels of Precalculus. There is no answer key. The file is a Microsoft® Word document so that you have the ability to edit it. 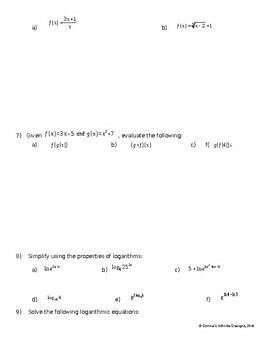 As an option, you can also separate each part of the review to make math stations as a review activity.